"The Diamond Heart of the Warrior of Light"
We have two wonderful upcoming energetic opportunities to recalibrate to the current upshift in frequencies since the powerful mid year solstice. These GAP days are powerful gifts that we can amplify through our own and the planetary diamond light grids. Ignite your Diamond Heart, power up your inner Feminine Warrior and open to a new abundant flow with these 2 special diamond community transmissions. 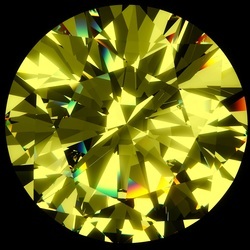 On 10 July we will focus on strengthening our diamond heart as this GAP Day is gifted to us within the wavespell of the yellow Warrior. 25 July is the Day out of Time in the Sacred Mayan Tzolkin calendar. This magical day exists between two time cycles and as the White Planetary Mirror, is an opportunity to become and embody all that we wish to see reflected back to us in the world. Please join us for these to special energetic portals as together we reprogram the new earth grids and enliven our own personal light matrix!